It has been a while since I have posted a sweet treat. Things have been busy, so I haven't had a lot of time to bake. In case you didn't already know, I love chocolate. I'm addicted to it. Therefore, we interact at least once a day. Last weekend, I had a little date with chocolate. 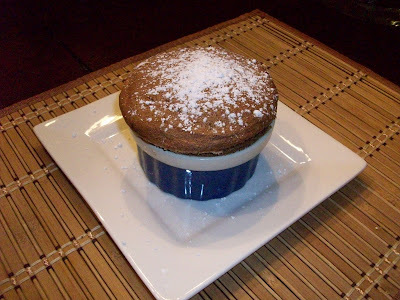 I made a chocolate souffle- one of my favorite desserts. Click here for the recipe. In the event that you have not had it before, let me tell you what it's like. Simply put, it's like a big, fluffy cloud of chocolate. It has a spongy texture that is moist and delectable. My favorite part of the souffle is the top and the bottom. The bottom is a layer of sugar that caramelizes in the oven, so its has a bit of crunch. The top of the souffle also has a slight crunch and I love anything that's crunchy. ﻿Be generous with the butter when preparing the ramekins, especially if you want to take them out of the ramekins after they bake. I personally like to serve them in the ramekins- better presentation. Souffles involve very few ingredients. So use REALLY good REAL ingredients. No shortcuts. The chocolate should contain at least 60% cacao. I use the Ghirardelli chocolate bars. I also use organic eggs. They just taste better. All of the ingredients must be room temperature. No exceptions. 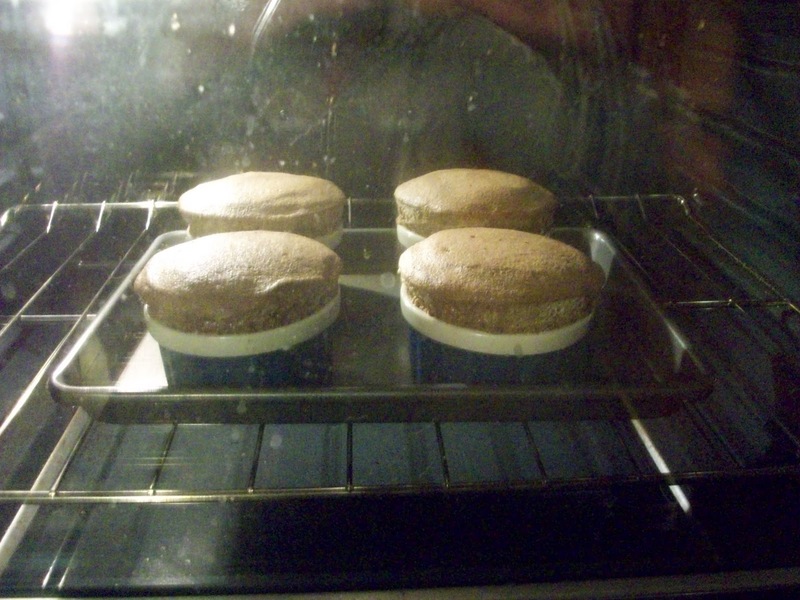 The souffle won't bake evenly if the ingredients are cold. If you forget to take the eggs out of the refrigerator, put them in a bowl and place them in a microwave for 10 seconds. They won't cook- I promise. Use a little TLC when folding the egg whites into the chocolate. 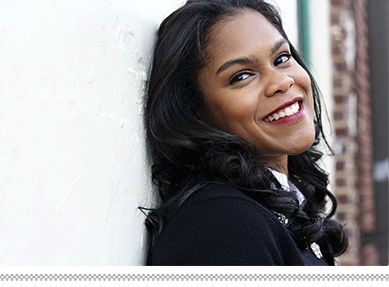 Click here for a video on how to do this. This is a flourless recipe, so the egg whites are what make the souffle rise. Air is slowly being incorporated into the mixture as they are folded. Stirring the egg whites will deflate the egg whites and the souffle will not rise. They must be served immediately after taking them out of the oven. They will eventually fall, so you want to serve them when they are warm and at their best. Powdered sugar and a side of vanilla ice cream are an absolute must! Enjoy! Your chocolate souffle looks wonderful! I love, love, love anything chocolate!